Hence….our daughter is now a successful business woman, and it has taken us years to recover and prepare to try turkeys again!! 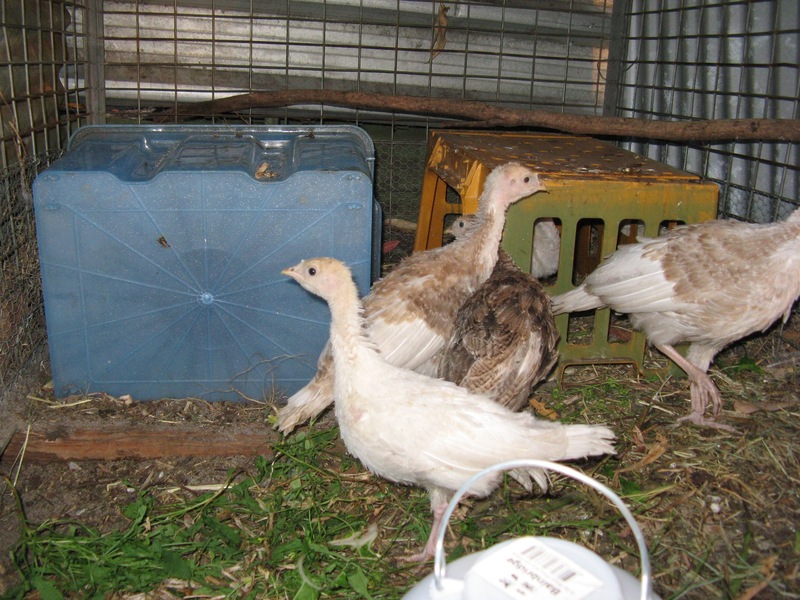 This new journey began with the purchase of seven poults (baby turkeys) aged from one to five days old. They needed a light bulb to keep them warm until they were big enough to manage alone. One died, but the remaining six grew stongly. 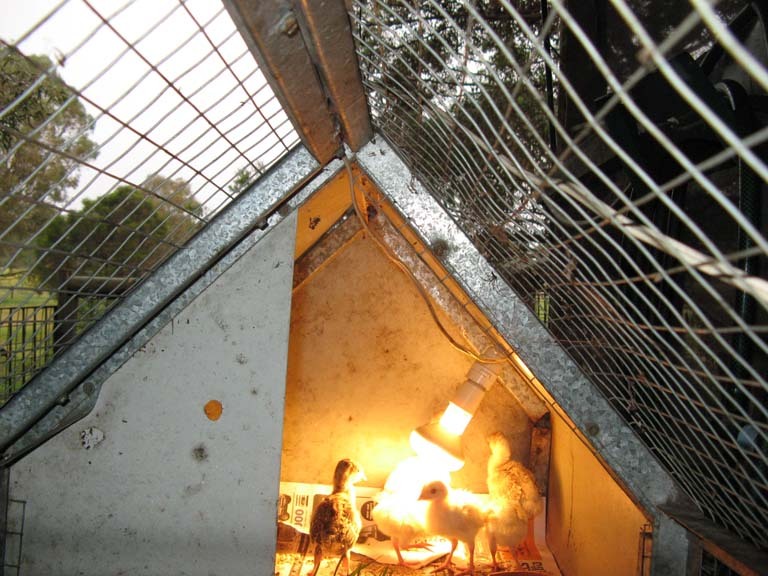 As they grew out of this small cage and no longer needed the light, they were placed in a temporary cage until we finished fox proofing their new ‘home’…..
Next sized up cage due to rapid growth of turkeys! ……..but they grew so rapidly they needed a larger temporary home…. 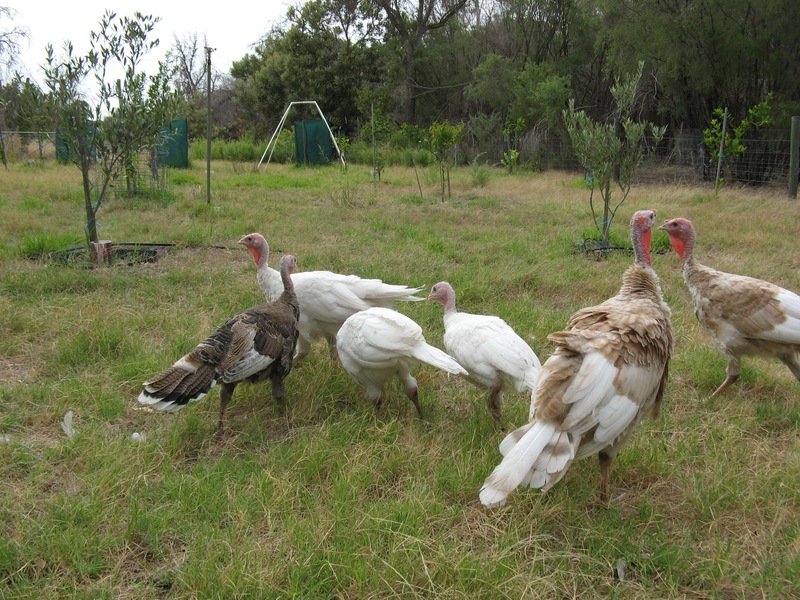 Once they were big enough they were let out of the cage each morning to free range in the orchard and do their job- keep the grass trimmed and eat any fallen fruit! 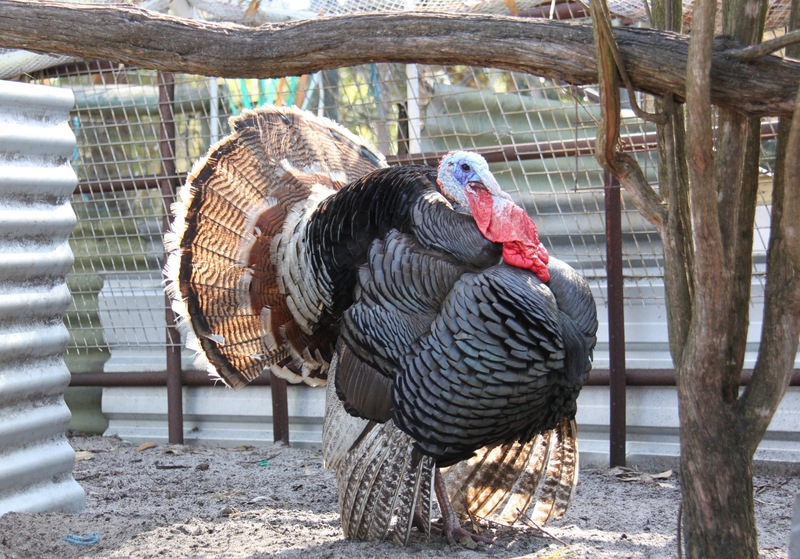 Unfortunately, five of the six turkeys turned out to be male! We managed to swap two white males for more females, so a better balance was achieved. One of the disadvantages of buying chicks is not knowing if they were male or female! 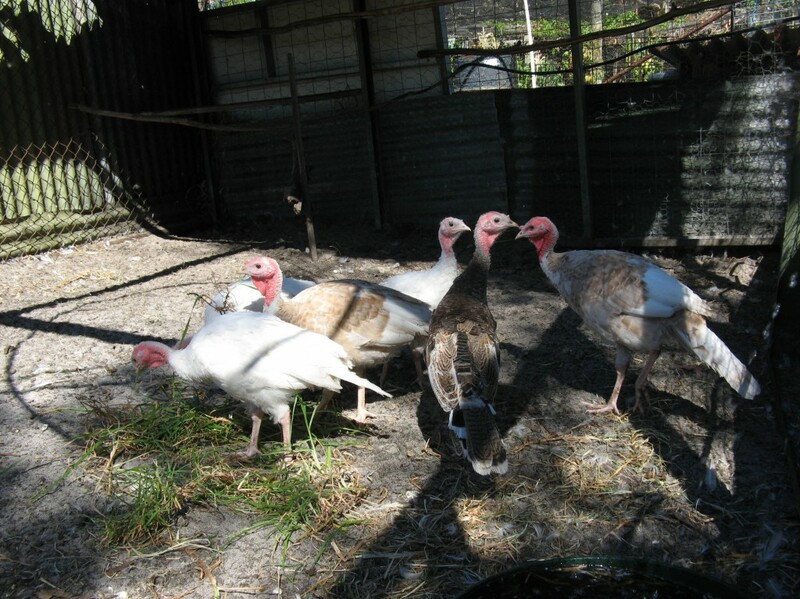 We now have a nice, small flock of turkeys that are easy to manage and produce enough to supply us with turkey. 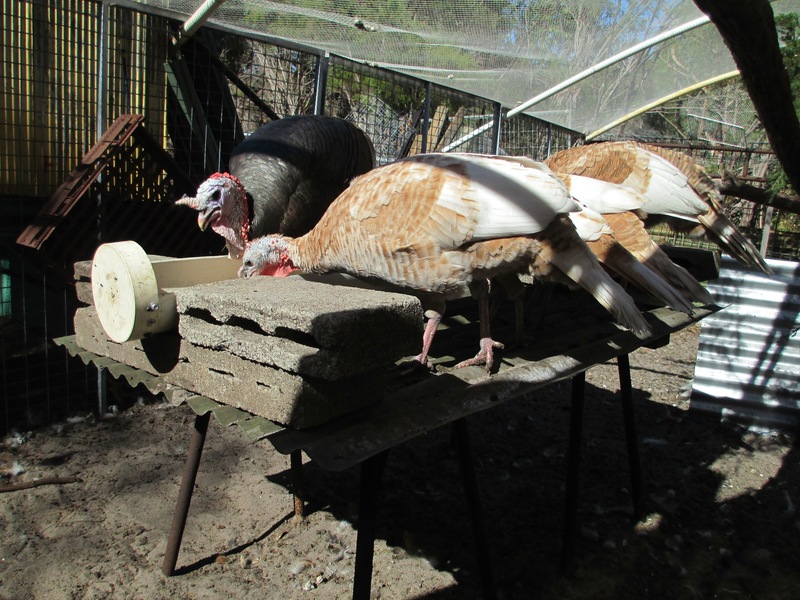 Turkey feeder- high off the ground to stop the ducks stealing the food!